This article will require some programming knowledge and some database knowledge. It is intended for someone beginning to work with VB.NET and databases. 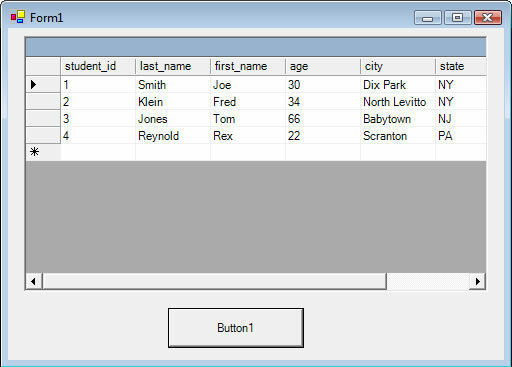 It discusses a simple way to connect your application to a database and do some queries using Visual Basic.net. Visual Basic .NET (VB.NET), is and object-oriented computer programming language that is viewed as an progression of the vintage Visual Basic (VB), that is implemented within the .NET Framework. Microsoft currently supplies two main versions of IDEs intended for developing in Visual Basic: Microsoft Visual Studio , which is professional software and Visual Basic Express Edition, which is no cost. The command-line compiler, VBC.EXE, is installed as part of the free software application .NET Framework SDK. 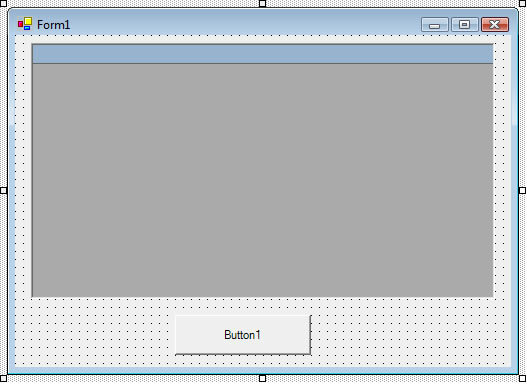 In this tutorial we will also use Microsoft Access as the database that we will connect to. Each database has a connection-string which is needed to connect and read the information from that database. The first thing you will need to do is create a access database, lets call it student.mdb. In the database, you will have a table called students with 7 fields. the student_id field must be a primary-key field and auto-numbered. At least one field in each table should be auto-numbered to uniquely identify the record. If you do not do this, then you will have problems inserting, updating and deleting records in VB.net. You can also use a unique text field instead of an ID field but keep in mind each record must have a unique value. let say the database is on the root of you hard drive C:\student.mdb. This example shows the data from the database and the code needed to connect the 2. If you are using a SQL server, you will use: SqlClient.SqlDataAdapter("", "") instead of OleDb.OleDbDataAdapter. Each database has its own adapter. You can also use Odbc.OdbcDataAdapter to connect from any database via ODBC. Also remember, each database will have its own connect string. More information about connection strings can be found here. Just make sure each table as a unique ID and you should be good to go!